Monday: Begins 9/11, Sorry - class is full. Tuesday: Begins 9/12, Sorry - class is full. 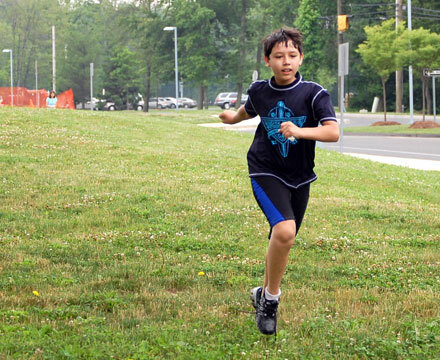 The Trifitness Running Club exposes younger athletes to the popular, fun and healthy sport of running. Nationally certified coach and All-American tri-athlete and owner of Trifitness, Pascale Butcher, provides a program that will develop and improve young runner’s skills in a fun and relaxed atmosphere. 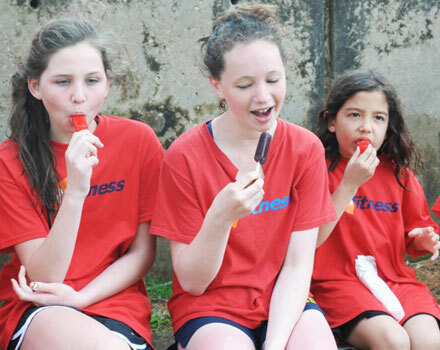 Students will learn proper stretching and running techniques, pacing, cool down and nutrition habits which will promote running as well as a healthy lifestyle. Students will participate in a real road race with their new running buddies, if they wish (and maybe their parents too!). Pascale is the head coach and co-founder of Trifitness. Having enjoyed a career as a businesswoman and a busy mother, Pascale found her calling as a trainer through wanting to help others share her own love of exercise and fitness. She is a USA Triathlon Level 2 Certified Coach, Ironman Certified Coach, Speed and Agility Youth Certified Coach and a successful competitive runner and triathlete member of Team USA. She has been a USAT All American since 2003. Would You Like the Trifitness Running Club at Your School? If your school is not listed and you would like to have the Trifitness Running Club take place there, contact Pascale to get your school registered!